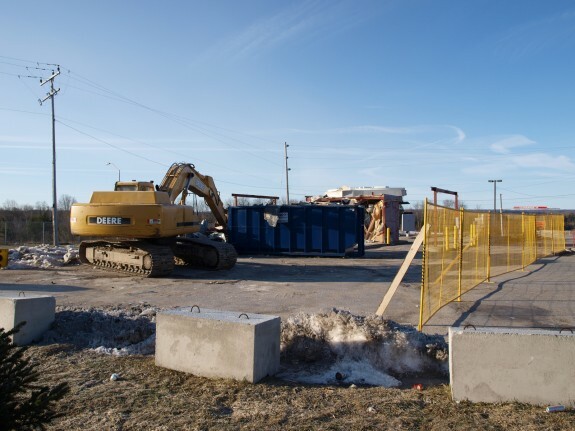 Does anyone know what happened to the Tim Hortons that was at Highway 50 and HWY 9 (Palgrave)? I noticed it closed not too long ago and was then surprised to see them tearing it down this past week. This particular location has always been very busy especially in the mornings so I don't think the reason was a lack of business. I don't think they are putting a larger one in there as there isn't much space available there, the majority of the business was drive thru anyways. I gather that Tim Hortons is to be relocated to another location just west of where it originally was. Something to do with a dispute with the landlord where they were originally. They sure got rid of the building in a hurry, didn’t they!? They’ve rebuilt it at the corner of Hwy.9 and Airport Road – at Mono Mills. I heard that the landlords (or the owners of that little market thing) wanted more money, or had some sort of financial dispute with Tim’s and they said something along the lines of, ‘alright then, your loss’, and they knocked the whole place down. Bet the flea market people are satisfied now….. or not. I really miss working there… all the regulars.. i miss it all. He just wanted to have a bigger Tims and relocated down on 50. The owner of the property we were on, didnt want to renew lease. I know those owners as well they felt Tims was taking away from their business. Besides there was always thoughts of moving from that location anyway. The story goes that “Timmy’s” re-approached the owners after they failed in low-balling them regarding a rent increase. I love when the little guy wins!